Great stuff, guys! These are my kind o' cards! Great discussion and some awesome cards in here. Nothing like finding that rare low-mid grade card that makes you look no further. Rare but when it happens, it's like a bonus thrill. Last edited by MattyC; 03-15-2019 at 12:10 PM. Geez Matt. Those are like high grade compared to what I collect. And what the heck is wrong with that PSA1 Jordan RC?! Last edited by CobbSpikedMe; 07-21-2018 at 12:13 PM. That Reggie is an incredible 5! Another thing in favor of mid-grade (or even lower really)...the older I get the crappier my eyes get. Even with my glasses, I truly can't tell the difference between just about anything PSA 5 and above. Centering and color still stand out for me, but small corner dings don't even register for me anymore. The downside of my vision degrading with age is that I struggle to read the card backs these days--especially on something like a 1981 Fleer McCovey--but the upside is that the eye appeal of all these great cards just goes up and up each year for free. I've been getting into modern cards in slightly lower technical grades than the expensive ones. Great way to pick up prime RCs and other cards without spending big on them. Last edited by Exhibitman; 07-24-2018 at 11:56 AM. 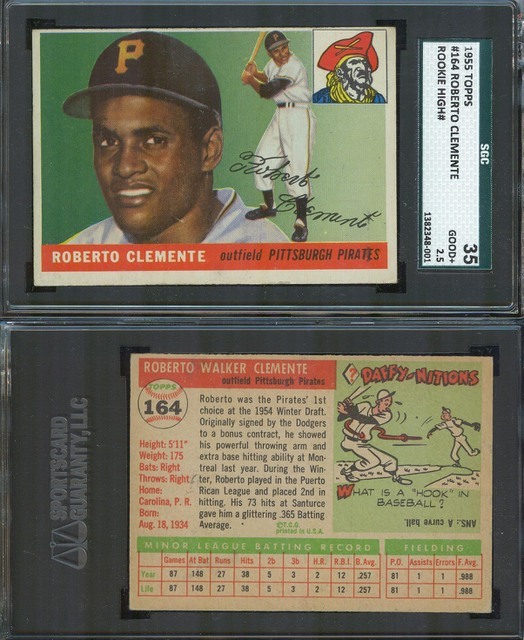 Here are a couple of others for my 1971 sets. Got great deals on both. For my criteria, they fit my set perfectly and have good eye appeal. 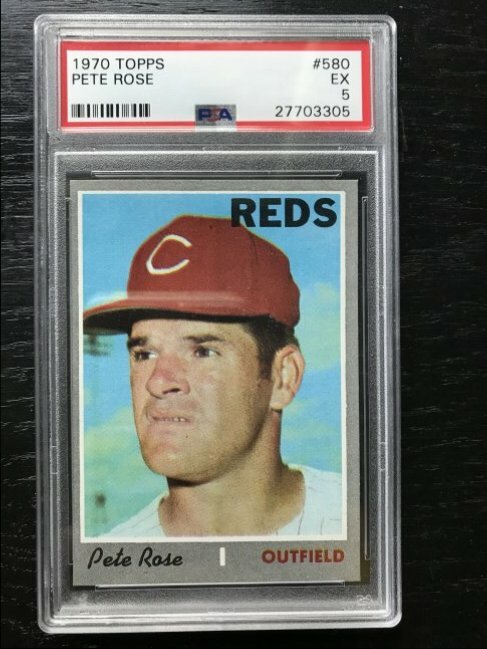 Love this thread, as it’s right in line with my collecting philosophy of buying the card and not the grade. I usually aim for a nice 5 or 6, but when it comes to the more sought after players like Mantle or Williams, I’m more than happy with a nice 3. 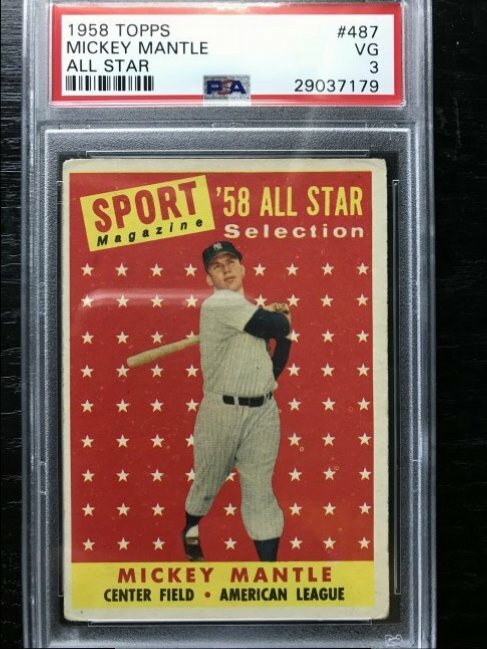 I usually skip mid grade and buy low grade, because I love baseball history, the nostalgia and the images, not the sharpness of the corners. I can get every 60's set in low grade, or just one of them in near mint. The choice seems easy to me. Round corners, edge wear, a crease, a pinhole, none of these are a problem. It's the same card, with the same picture, the same stats on the back, and I get just as much fun looking them through as I do a near mint example. My low grade 1956 Mantle that cost $40 instead of $400 brings just as much joy for a fraction of the price. 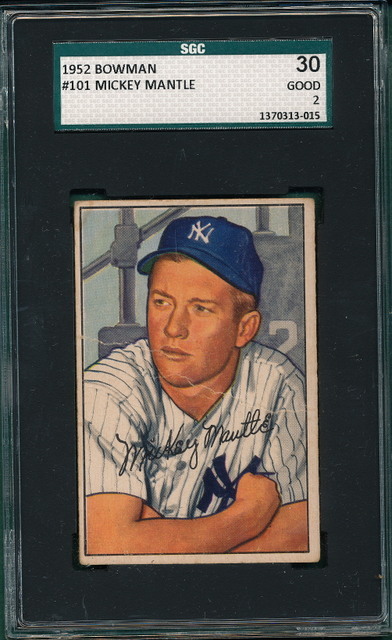 I often downgrade cards even, buying a low grade copy and selling a mid grade if I have one. I do get disgusted looks from some dealers at card shows when I ask if they have poor-good cards, but it works for me. It's a more relaxing hobby, in my eyes, to not care about being one of the hobby elite or worrying if there is a wrinkle that isn't visible in the scan, and just build sets for personal enjoyment. Man, do I love the sentiment! I am trying very hard to get back to simply enjoying having the cards/sets just for the sake of having fun owning them. If I can help it, I would rather not have pin holes or writing, but trying to "get over" most everything else. 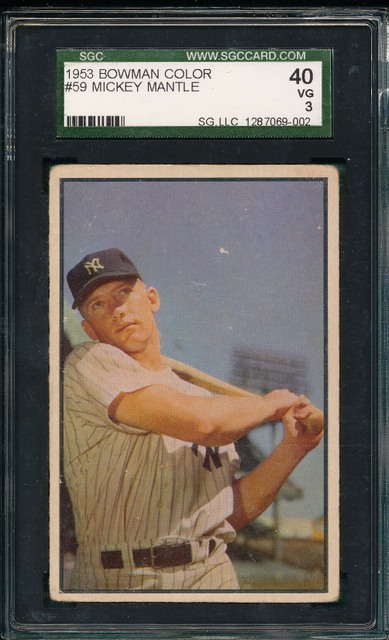 I usually aim for a nice 5 or 6, but when it comes to the more sought after players like Mantle or Williams, I’m more than happy with a nice 3. Nice cards. My '56 Williams is an SGC 3. 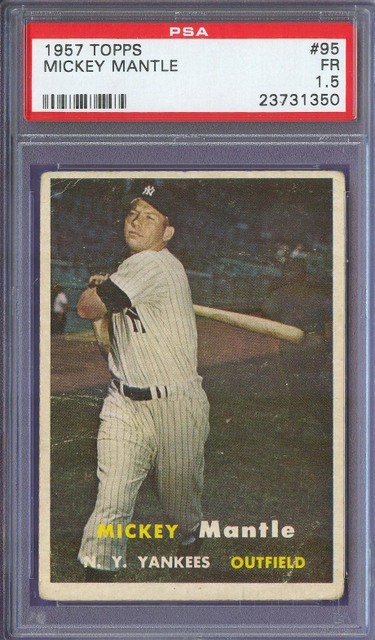 On many of the oversized 1950's cards, I think they can tolerate / "wear" their wear so to speak better than later cards because the card stock quality was better and the cards themselves were a bit thicker. 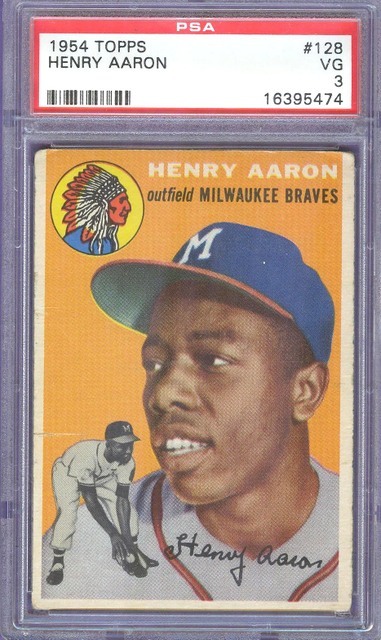 Particularly '56 Topps - which I think was printed on slightly thicker card stock than '55. I don't like big ugly creases that break the surface, but '56 Topps cards can hide lesser creases well and remain very attractive. 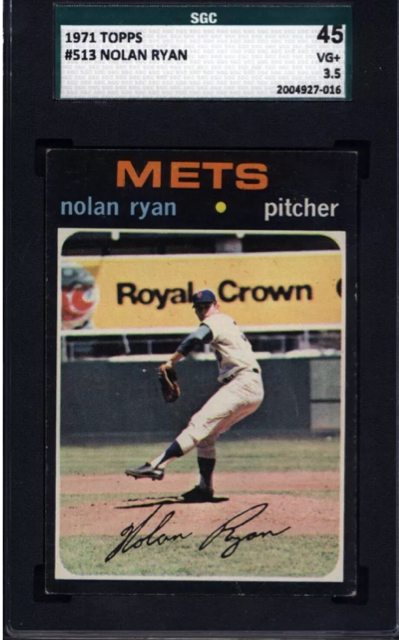 Once you get into most sets from the 1960's, and then the early 70's which I think were the worst - the card stock becomes terrible, much thinner and just generally of crappy quality. 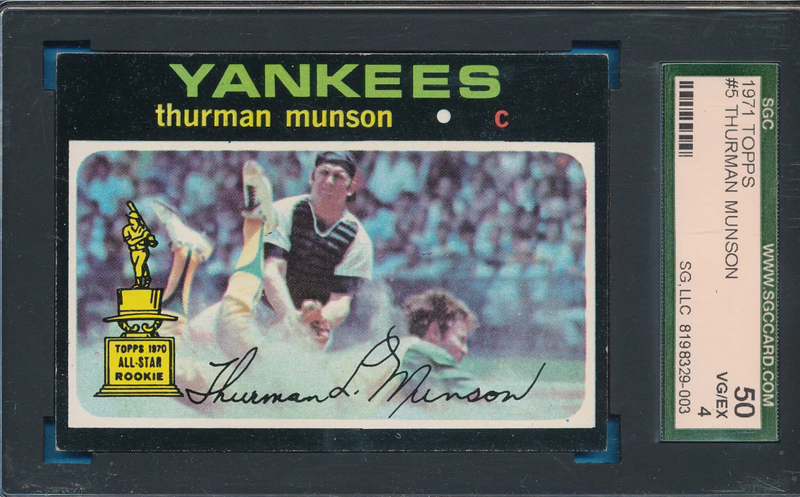 I think the late 60's and early 70's was worse on the whole for dramatically O/C and miscut cards as well. Last edited by jchcollins; 08-29-2018 at 10:04 AM. Great stuff and very motivational! I have fancied myself a set builder over the years and have enjoyed that. However, I am getting increasingly restless. There are sooooo many cards out there that I want, and I just don't have the ability or perhaps desire to build that many sets. Then I thought I needed my star cards to be higher grade since I wasn't building sets. (I know...programmed robot ;() However, I love this list of cards, and it makes me realize what I could accomplish. Thanks for this! I am really starting to consider selling off most of my commons from some baseball and football partials to buy some star cards I have been wanting. It feels like a lot of work though. Glad to have found this conversation hub on the interwebs. I started collecting when I was a kid, so, about 30+ years ago. Managed to thin out the pile of junk wax over the years .... gave most of it away to thrift stores, and kept a couple for nostalgia (a couple shoe boxes full, that is). Among the junky stuff, of course, I made sure to save my short stack of Upper Deck Ken Griffey Jr. cards that my nutty card collector uncle had given me (he had 2 closets overflowing with wax packs and sets back then). The late 80's/early 90's was a fun era ... lots of hype, cheap packs all over the place, lots of card shops with old worn down vintage cards to stare at and drool over. Off centered cards were the norm ... keeping those corners and edges razor sharp and keeping the surfaces clean and glossy, that was the name of the game back then. Did some searches on ebay a few years ago and discovered that vast new wonderland of collecting. Back in the days of the card shops, I never could have imaged the future would be so bright. So these days, I enjoy being able to browse thousands of vintage cards from the 50's through the 70's from the leisure of my home. The way I see it, I would have to have $$ millions $$ to burn before I ever buy high grade vintage cards that are NM or nicer. The handled worn down cards have just so much more character, in my opinion. I actually think a crease-free VG or VG-EX 50's card with decent Left/Right centering is prettier to look at than a NM or Mint example of the same card. I don't spend big bucks ... $80 or $100 is a major card purchase for me. 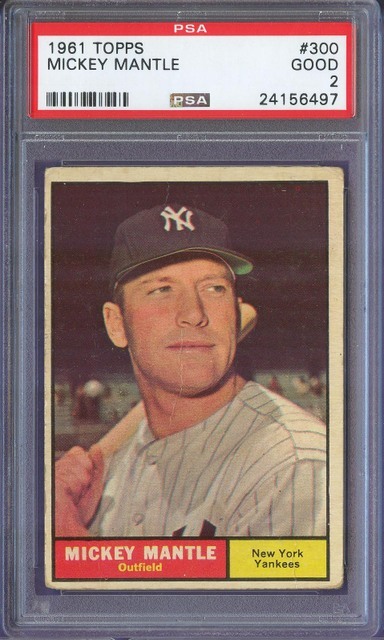 I don't mind even a small crease or two on a 50's or 60's card. I pretty much draw the line at badly miscut cards, cards that have been butchered, ugly print lines/wax stains, and ones that are badly out of focus. 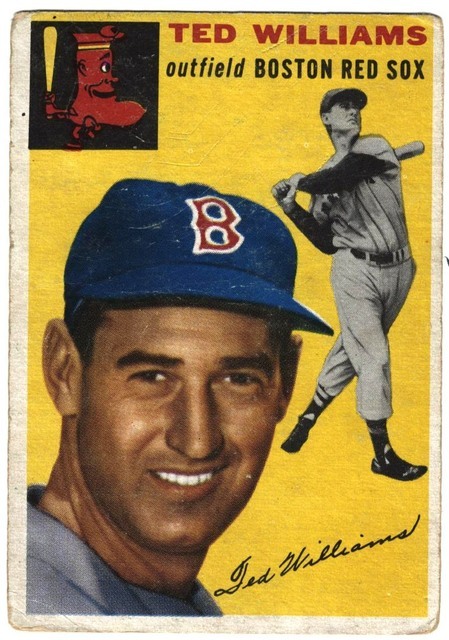 I love the cards with rounded corners, chipped edges, a light crease or two or three, and moderately faded colors (as long as it's not over the player's face). I feel like a kid in a candy store when I can score a couple of nice VG/VG-EX cards for $20 or $30. Fun thread...I dont buy more than a handfull of cards each year. When I do I try to focus n HOFers between 1952 through 1973. I prefer to stay in the 350 to 500 range for the best PSA 6 I can find. It seems that with the current standards a PSA 6 is a very pretty card. Centering as long as it doesn't carry an OC qualifier bother me. 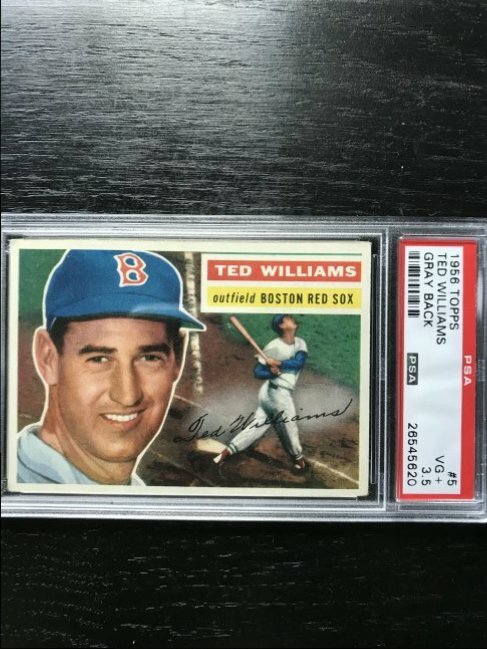 On regional cards like the Wilson Frank's I will settle for a PSA 4 or 5 in my price range. I would agree that 6 is a pretty nice place to play in 1960’s cards and earlier. Unless just dramatically O/C, they usually have nice corners and surface features. Most of the newer 6’s (where PSA is being tough) and some cards present like 7’s or 8’s. If you don’t mind a bit more corner wear, I also think that PSA 4’s and 4.5’s are great value for the money. 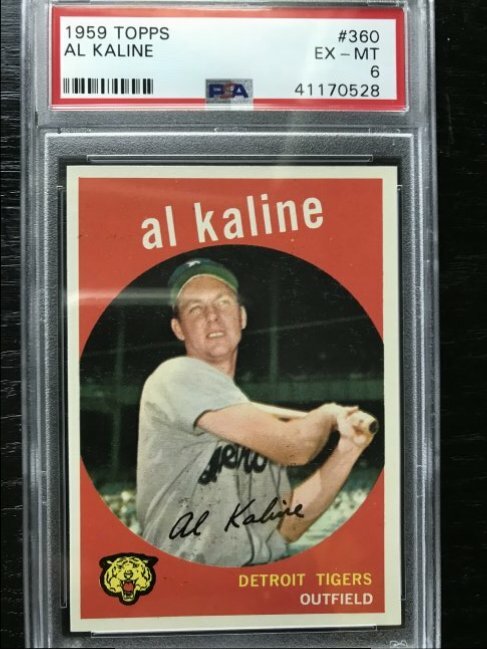 It takes awhile, but you can find centered 4’s of HOFer’s from the 50’s and 60’s for a fraction of the price that some truly high or investment grade cards sell for. I'm pretty much the same as you Mike. I start getting nervous if I get much higher than $500. 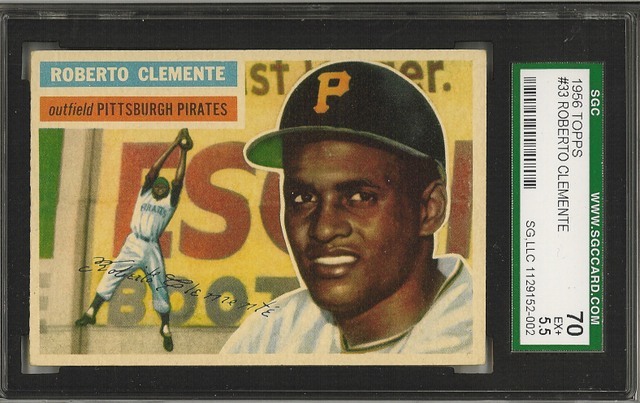 This card was on ebay and it looked nicer than most of the PSA6's I saw. When the 15% off day came I picked it up for a price I was more comfortable paying. The picture they had was taken with a phone and made it difficult to tell condition, but it turned out to be really nice for the grade. This is a scan I made. Last edited by KendallCat; 03-14-2019 at 11:05 PM. David and Kieth, No matter the grades those cards are serious eye candy. I love this thread. To me it represents the heart and soul of vintage collecting. For me mid-grade is a subjective term and depends on the card. Personally I try to collect “upper” mid-grade cards. So for 1950’s as 1960’s I stay in the PSA 6-7 range. That’s my sweet spot. 8’s just seem like too expensive 7’s usually (a dash more centering) and 9’s and 10’s are unattainable unless one is highly motivated for a specific card. I honestly can rarely tell the difference between a 9 and a 10. But as I said the older the set the lower mid-grade becomes. 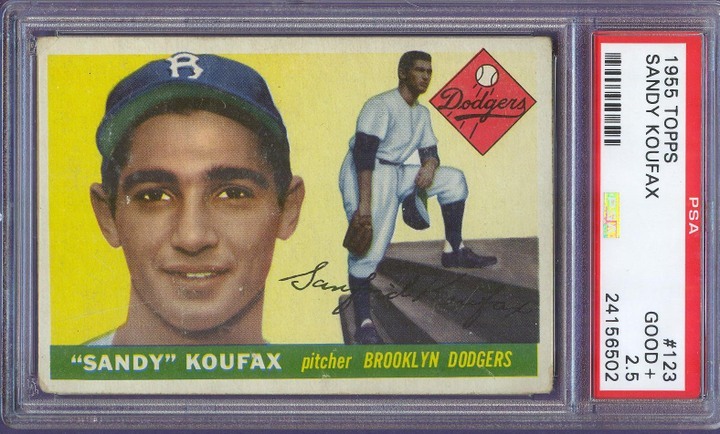 In the way of an example I enjoy PSA 4-5’s in the 1940 Playball set. That’s my 1930’s-1940’s mid range. Last edited by swabie2424; 03-14-2019 at 11:10 PM. Incredible cards. I would imagine that for a Cracker Jack Cobb, 4 may be well more than "mid-grade" among remaining examples. Wow, those cards are the definition of eye appeal and “strong for the grade”. Thanks for sharing! Last edited by swabie2424; 03-16-2019 at 09:41 AM. I wanted to revive this thread to whine a little. When shopping in the PSA 5-6 range, it is getting harder and harder to find cards that are well centered AND have good focus/registration. It is becoming more clear that I am going to have to give in on one or the other. It puts me in the minority, but I am starting to think I would rather give in on centering and keep the nice, clear image. Some corner wear doesn't bother me too much. Last edited by vintagebaseballcardguy; 04-13-2019 at 09:04 PM. I don’t mind centering issues as much as bad focus, print lines and ink smudges.